I run Glam Hatters' Parties. 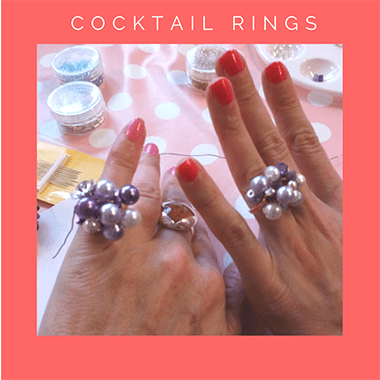 We provide super fun, creative workshops for hen parties and corporate events. Specialising in flower crown and fascinator making workshops. 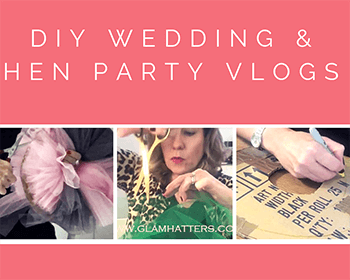 I also blog about hen party planning and have lots of DIY tutorials for planning a hen party. We are super excited to add a new pamper party to our packages! 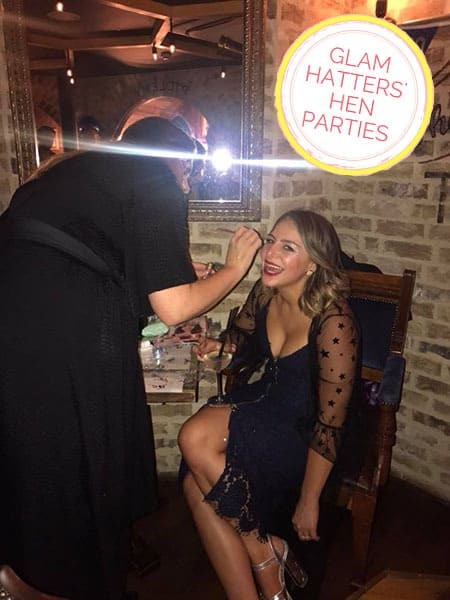 Glam Hatter Girls Jo & Jo are Hair & Make Up Artists and are ready to make you over for your hen night out, or pamper & show you the tricks of the trade for your girls night in! With two different packages to choose from we have all your make-over needs covered! Jo & Jo having been working in partnership for a long time. 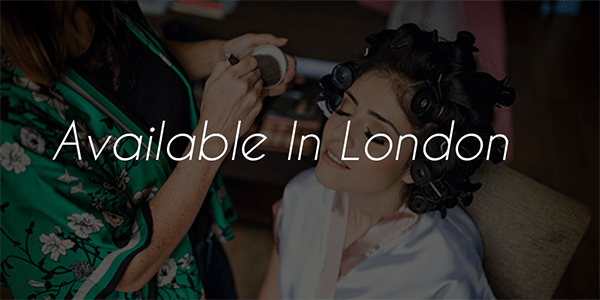 They’ve made over hundreds of bride’s on their wedding day and now offer this service for hen parties too. 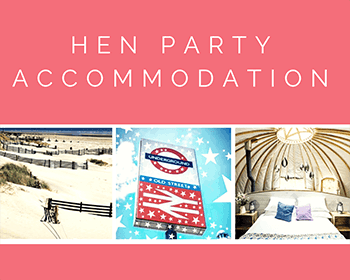 We have been working with them to design two brand new hen party packages in London. We are offering a Gold Package, which is from two hours long and can be extended to four hours. 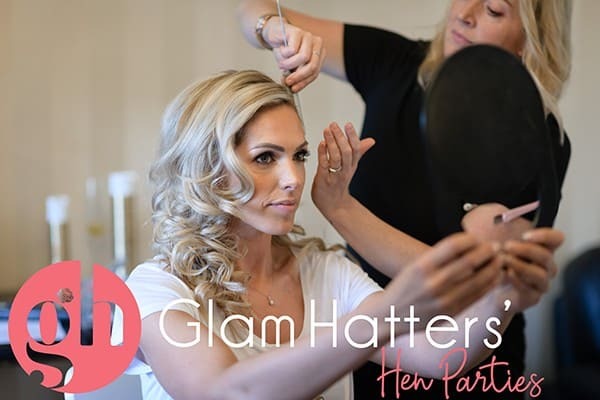 During this time Jo & Jo will come to your hen party venue and get you all glammed up for a night on the town. There’s nothing better than having your hair & make-up done while you have a glass of bubbly & a gossip. 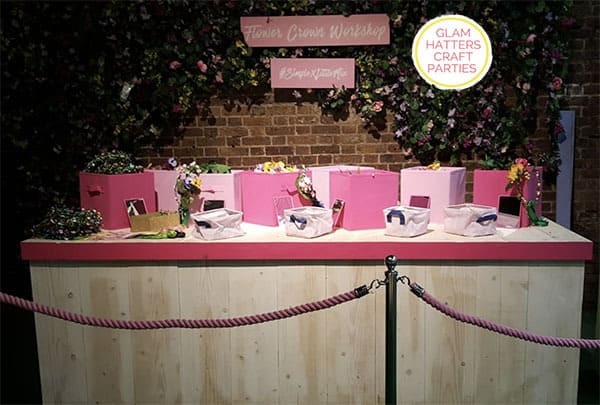 Depending on your party size this will be express make-up, a lash bar, quick waves or cute hair up do’s through to full pampering for smaller groups. We can tailor the session to suit your girl gang. The second package is the Silver Package which is two hours long. Jo & Jo will come to you for a fun and informal tutorial and share all the secrets they have picked up over the years. We’ve worked on our prices to make this a super fun and affordable experience for your whole girl gang. Contact us on the button below for a quote for your party. We will be delighted to help you organise your hen party with lots of information and tips. We can tailor packages to your needs so please don’t hesitate to ask us any questions! This blog post shows my favourite 5 Flower Crown makes of 2019. 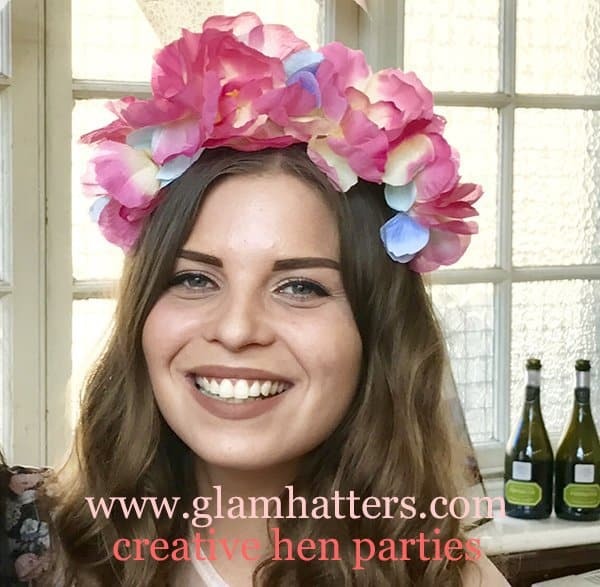 If you’re considering making Flower Crowns for your hen party this will give you an idea of the kind of things you can come up with! 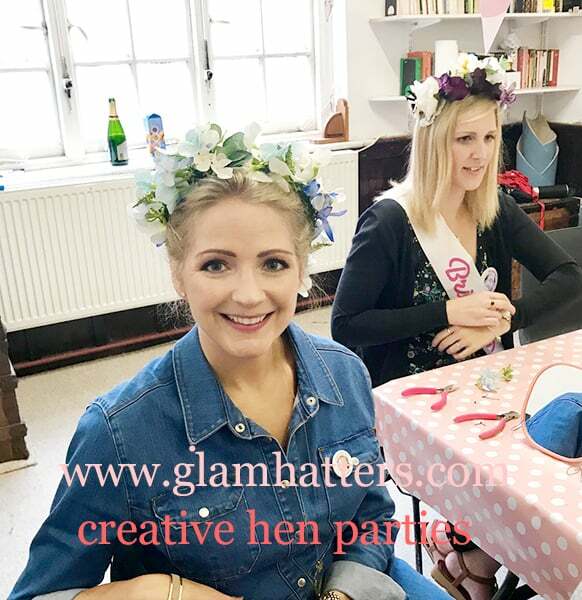 Since launching our Flower Crowns Hen Party Workshops three years ago we have been consistently delighted with seeing the results. Our stylish hen party customers have made some awesome Flower Crowns. Here are 5 of the best! Number 1 Of My Favourite Flower Crown Hen Do Makes Of 2019! This is a beautiful flower crown, created using mainly pink fabric flowers with a sprinkling of blue added in. The combination of the flower crown and the smile make this image a winner. 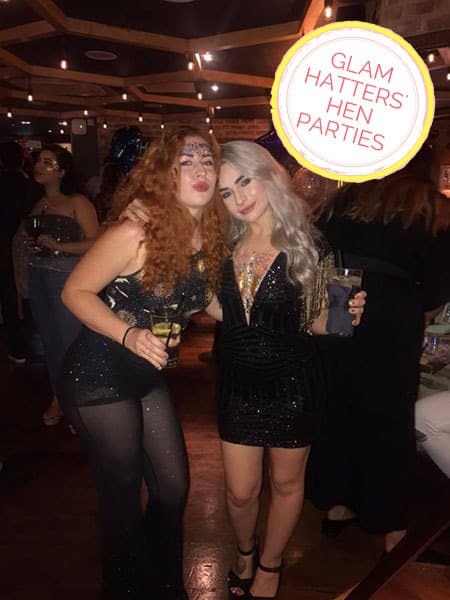 These girls came to Glam Hatters’ venue in Exmouth Market, Central London with 18 friends for their flower crown hen do. They had a great time and we loved teaching them! 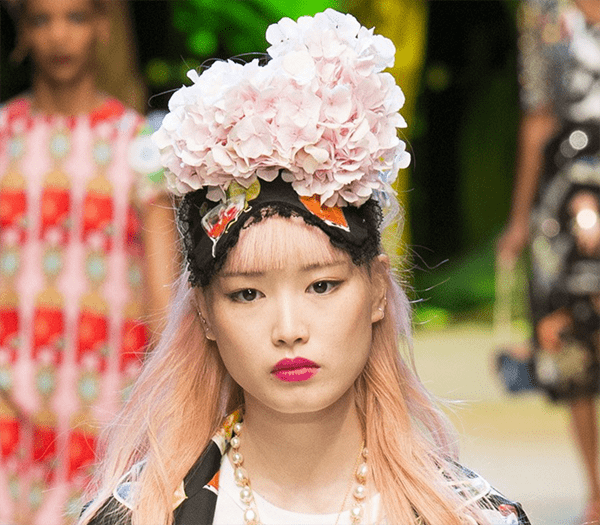 Number 2 Of My Favourite Flower Crowns Of 2019! What I loved about this flower crown was that it was such a reflection of this super-stylish hen’s personality. It is gorgeous and slightly understated, just like the wearer. 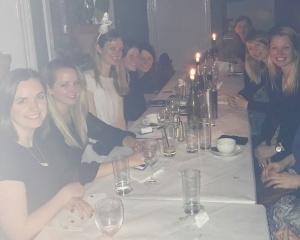 This was an intimate hen party, for 8 lovely friends. They were very giggly, chatty and completely lovely. Our stylish hen parties are an ideal hen party activity to include all your friends (event the pregnant ones!) and family (even the oldies!) Enjoy this part of the hen party with the whole crew and then the young guns can go on out in the evening! 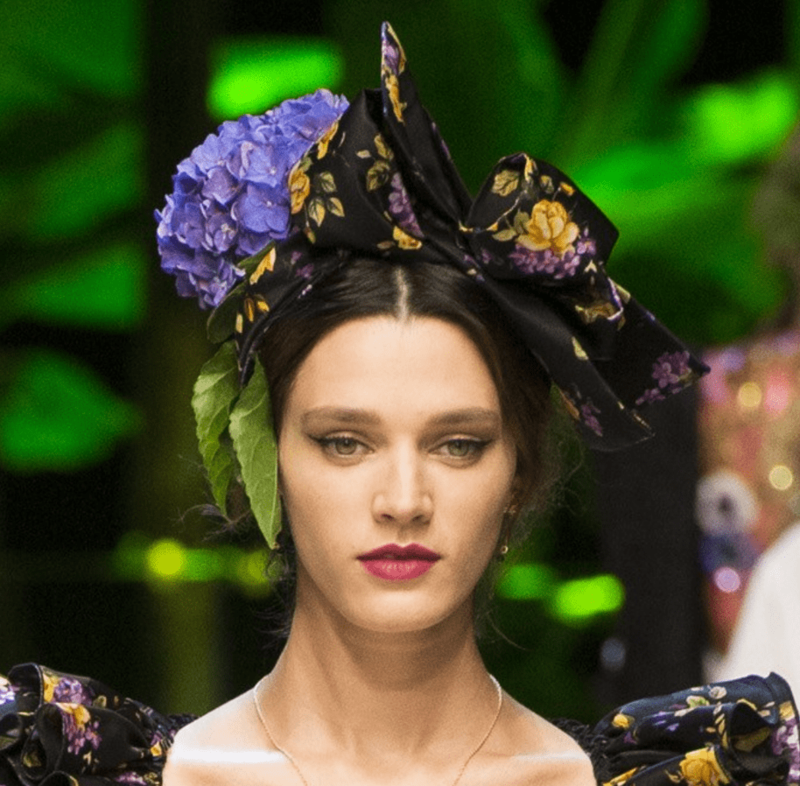 Number 3 Of My Favourite Floral Crowns 2019! This is Tash, one of our Glam Hatter Girls and she made flower crowns during her first training session. This is the first flower Crown she made and surprisingly she went for all white! I love this one and loved that she enjoyed making it so much. An all white flower crown is perfect for the bride-to-be to wear to her hen party. It will make her stand out from the group and she can even wear it on her wedding day! 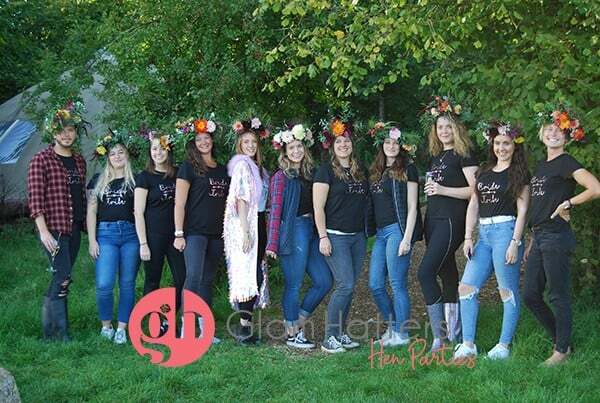 Number 4 Flower Crown Hen Party Makes Of 2019! Sooo pretty! 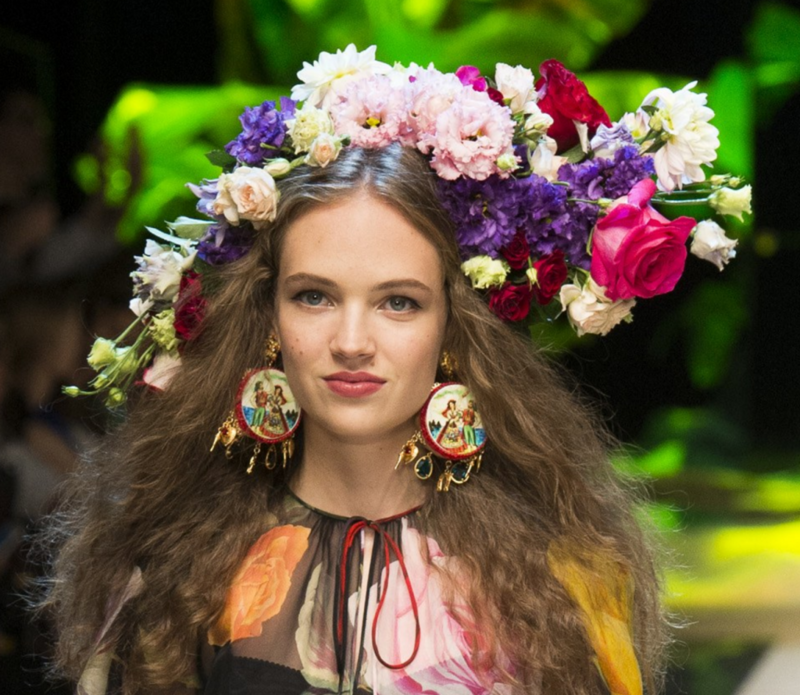 Delicate flowers with dainty leaves in between them – this is a great look for flower crowns. The juxtaposition of edgy denim and a pretty flower crown is so current it hurts! Bravo lady!! 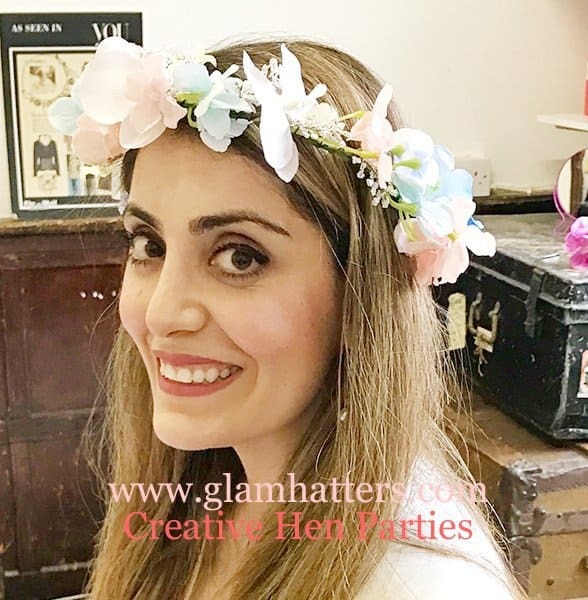 Number 5 Of My Favourite Flower Crown Workshop Makes Of 2019! This hen mixed our fabric roses with our paper peonies and they look fantastic together. I sourced these paper peonies this Summer while on holiday in Vietnam and I’m yet to see them anywhere in London. 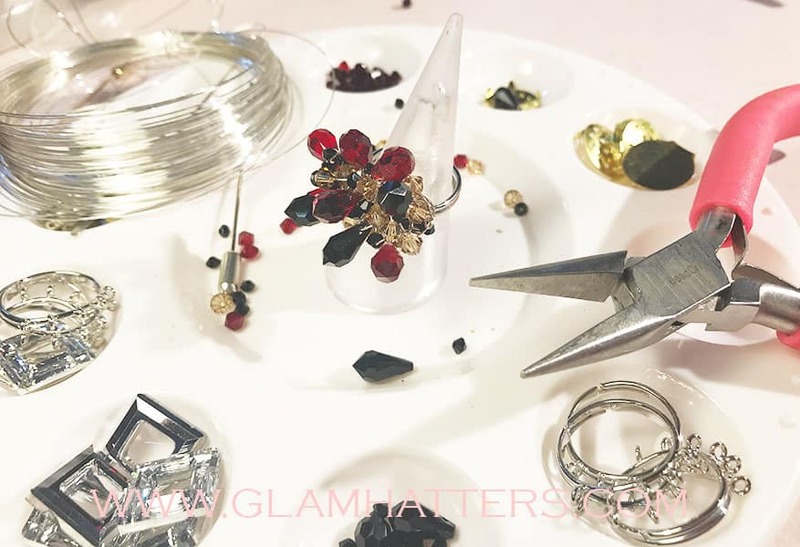 Here at Glam Hatters we pride ourselves on our gorgeous materials. 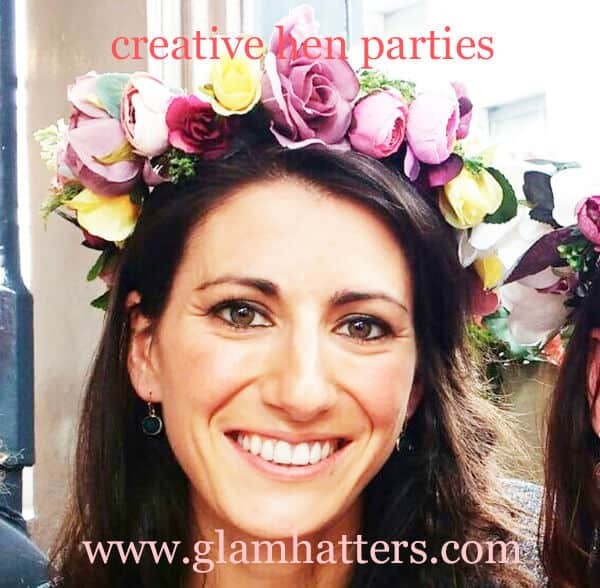 For a really special flower crowns hen party workshop you need to come to us! 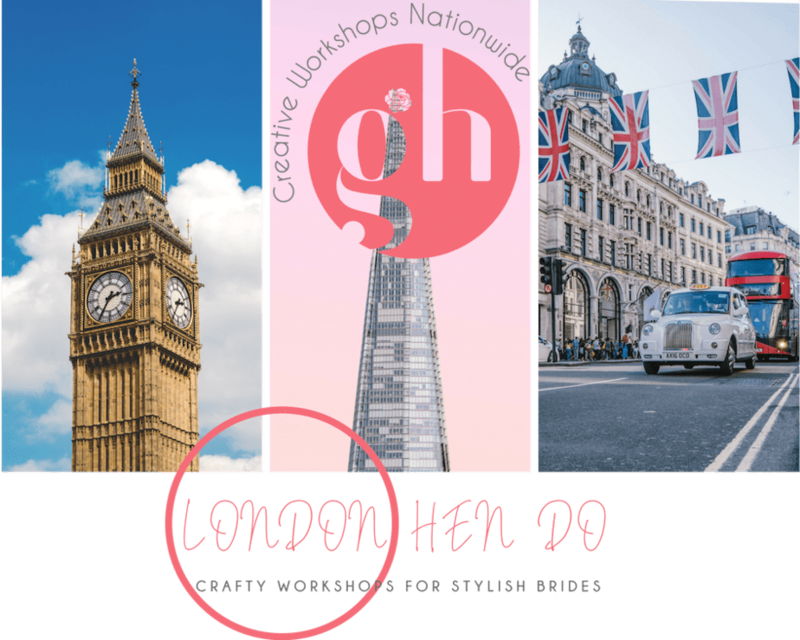 Having a creative workshop for your hen party? Love Flower Crowns? 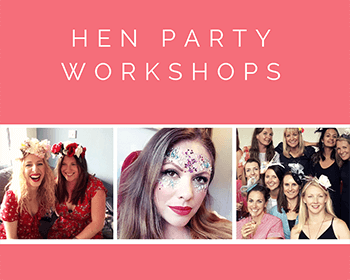 Visit our hen party workshop page for all the deets!!! Hen party themes are a great way to bring your hen party together. Hens will bond over the theme and it’s a great ice-breaker for family meeting friends for the first time. 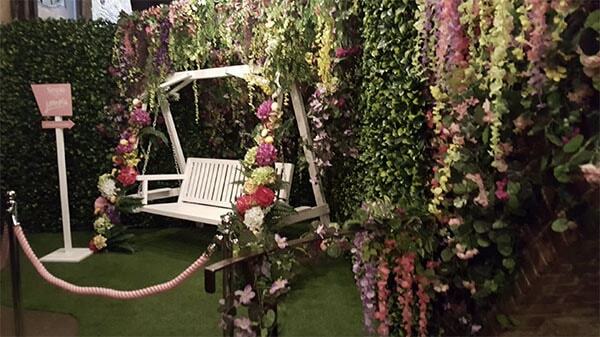 This is such a sophisticated theme for a hen do. I was recently having dinner in The Mercury, Islington and a group of girls were having dinner there as part of their hen party. They were such a stylish group and everyone was dressed in black, apart from the bride who was wearing white. A white top and skirt with a gorgeous little white swan fascinator. As well as looking super stylish it was a great way to make sure the bride stood out. Framed by all her friends in black she shone out from the crowd. 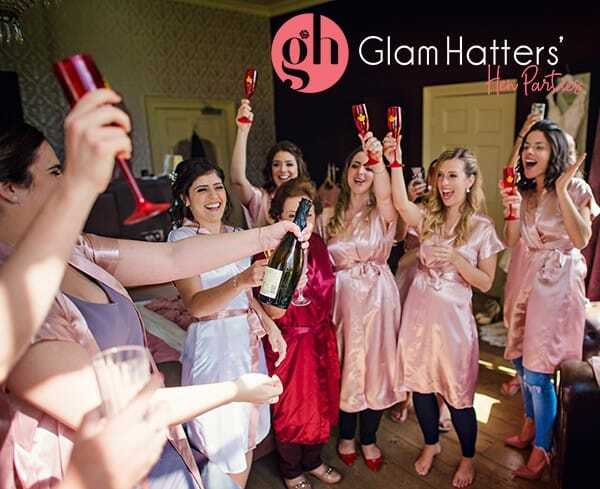 We’ve had a fair few Gatsby themed hen party groups through our doors at Glam Hatters. It is a seriously glam theme and everyone always raises their game for the Gatsby! Think pearls, flapper dresses, tassels and sparkle. 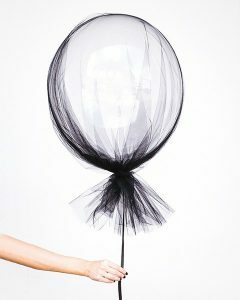 If your bride is creative and likes an activity then combine your theme with a Fascinator Workshop. 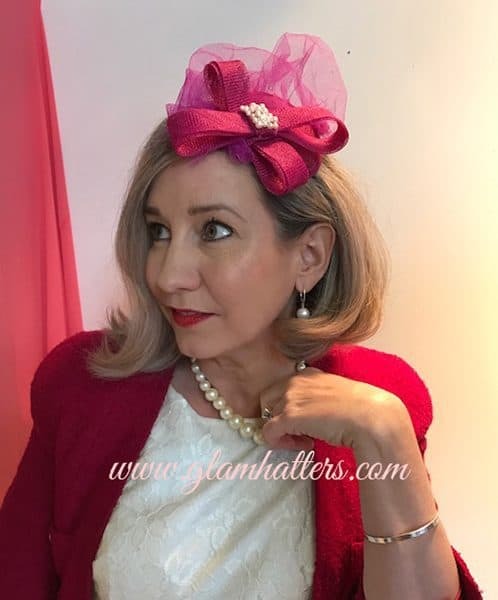 Make a fascinator to match your outfit for the hen party and wear it out that night to a Gatsby themed dance. 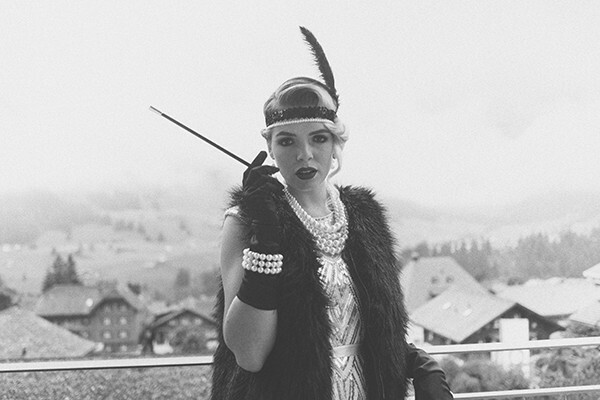 Check out The Candle Light Club for a perfectly riotous Gatsby themed hen night. My favourite theme! Vintage gives you so much scope but my era is the 50’s. Myself and eight friends went to All Star Lanes Bowling in Bloomsbury for my hen do. We bowled, drank and had dinner in their 50’s style diner. From there we headed on to The Bethnal Green Working Man’s Club for cabaret. They were a bit sniffy and not keen on hen parties so we convinced them that we always dressed that way and they happily let us in! 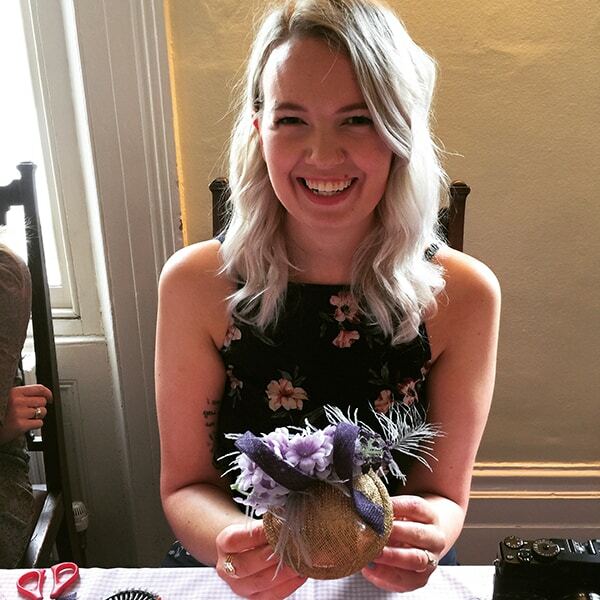 Lots of our hens love the vintage theme which is why our fascinator workshops are so popular. 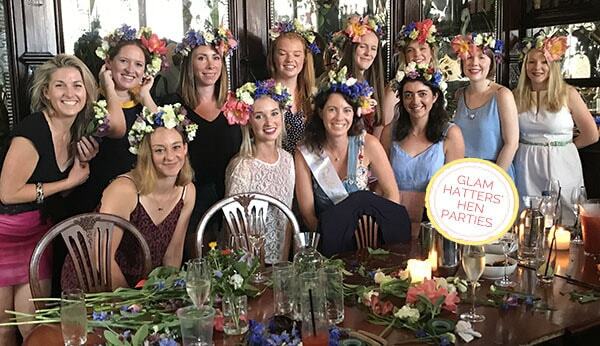 This hen party theme is trending in 2019. 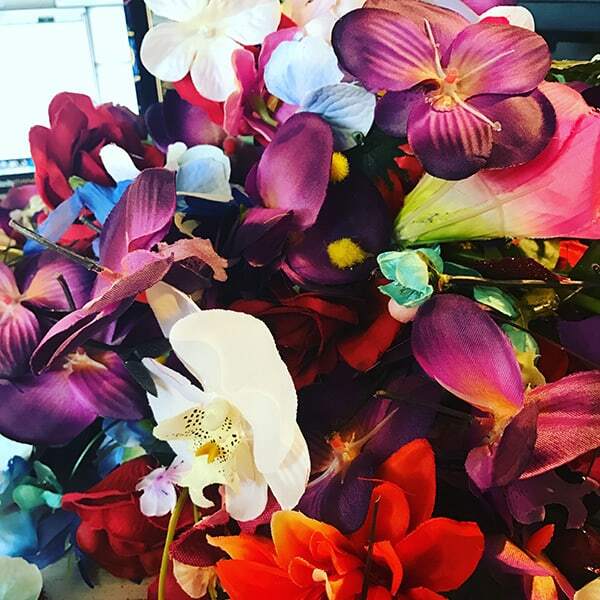 Since Mathew Williamson designed masks for a Masquerade ball and the 50 Shades Darker movie featured a Masquerade Ball we’ve all fallen in love with them! 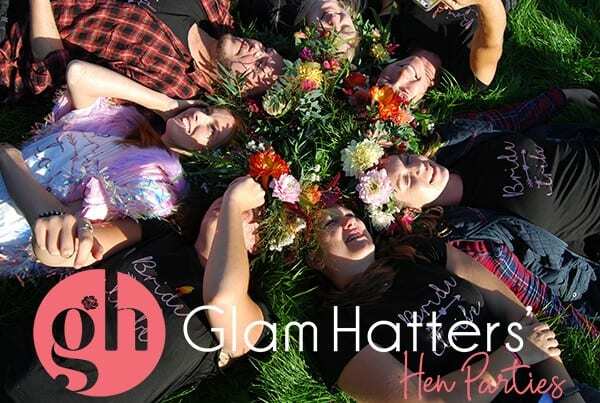 The Glam Hatter Girls are teaching Mask Making Hen Party Workshops. These beautiful masks are pre-made before the workshop and all you have to do is decorate them. 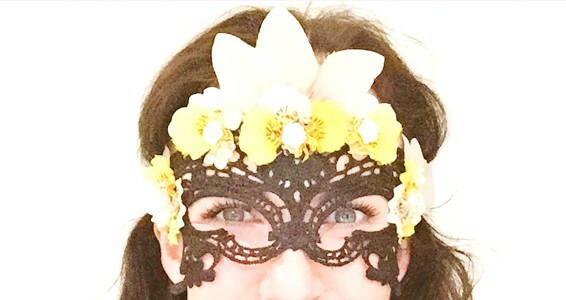 Use beads, crystals, faux flowers and feathers to create a highly sophisticated masquerade mask. The perfect thing to get you lots of attention on your hen night whilst keeping you incognito should you commit any misdemeanours! We recently had a Pirate Hen Party Theme at Glam Hatters. It was a surprisingly stylish affair! Think Breton tops and skinny jeans with high boots and eye patches! These girls were an absolute scream and made gorgeous fascinators. They brought along mini cup cakes which were decorated in pirate style and pirate napkins to put them on! These girls completely rocked their Pirate Hen Party Theme. 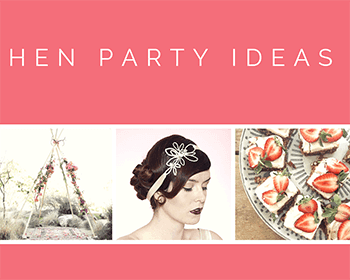 Oh lovely, lovely boho hen party theme – all you really need is a flower crown, a pair of wellies and a booking at a gorgeous glamping site! Combine all three with a Glamping weekend and The Glam Hatter Girls will come with hat boxes of faux flowers or fresh and crowns, all you need to remember is your wellies and a few bottles of Prosecco! 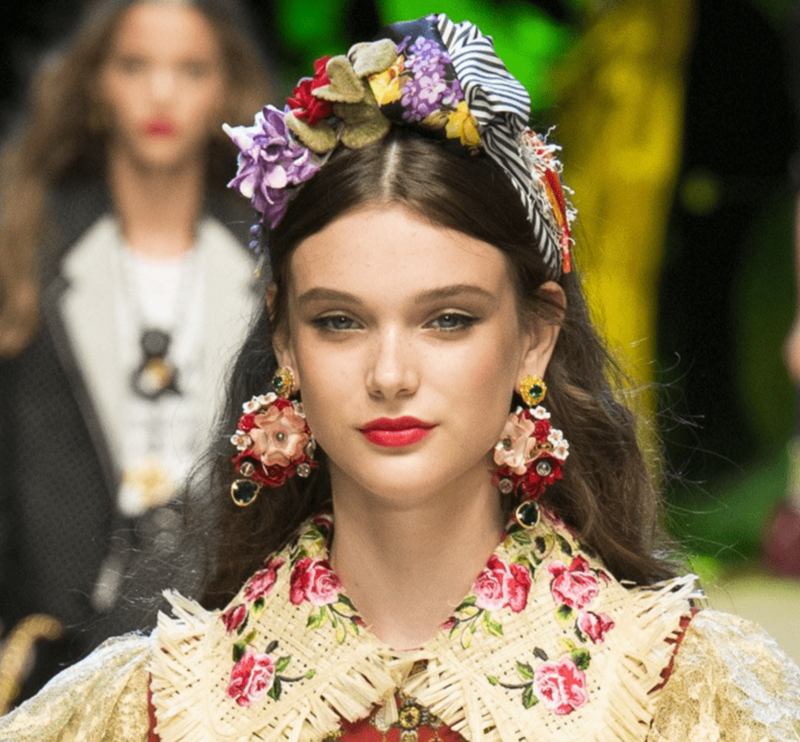 Make a gorgeous flower crown using fabric or fresh flowers during our hour and a half workshop session and then you can float around in it for the rest of the weekend. It is all about flowers for 2019 – they are everywhere and on everything right now. So there it is guys, my hen party themes for 2019. 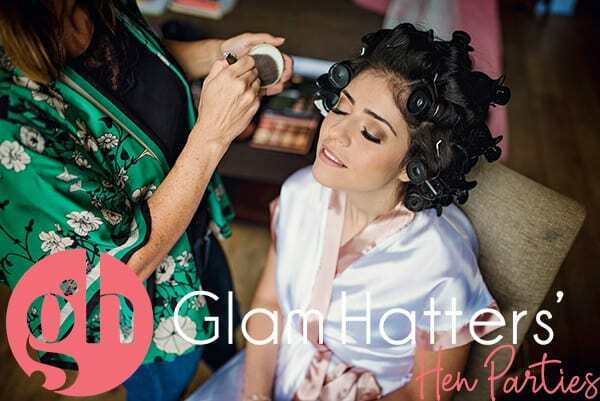 I can’t wait to see your themes coming through our doors at Glam Hatters. 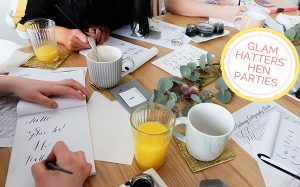 For more info on our hen party workshops click the button! 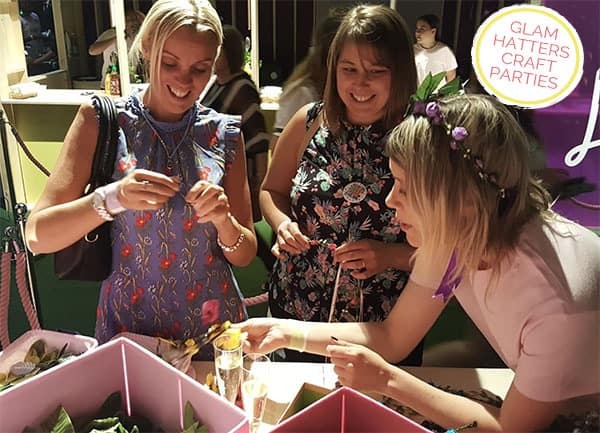 Booking a crafty hen party in London? We offer a gorgeous range of hen party activities. Perfect for a stylish hen party. 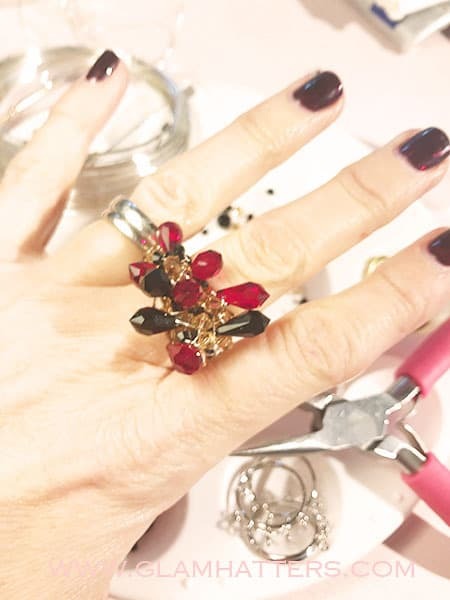 Make the most lovely accessories to wear to your hen do. 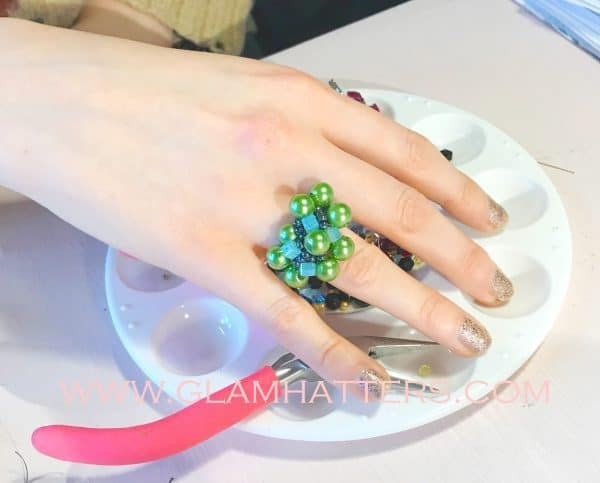 Choose from making fresh flower crowns or fabric flower crowns, cool fascinators, fun beaded cocktail rings and many more. These workshops are perfect for a crafty crowd and equally fun if you’ve never picked up a needle in your life! 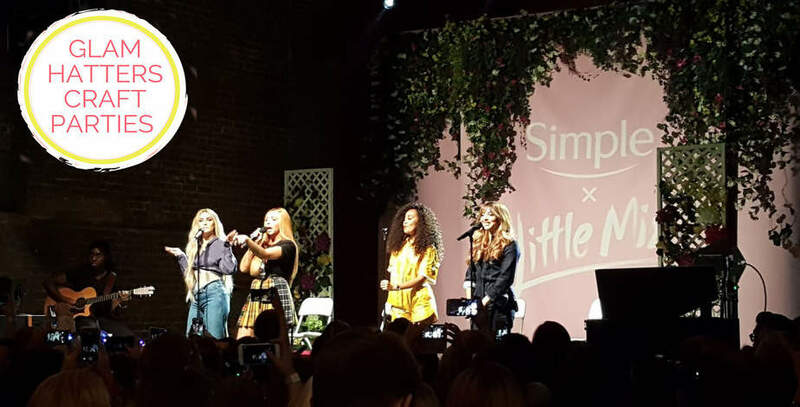 We can also come to a venue of your choice anywhere in London (and Nationwide.) 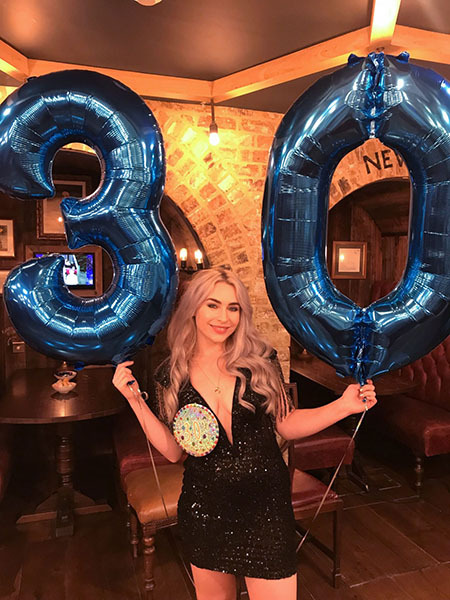 We’ve hosted parties in bars, restaurants, cafes, tea rooms, cocktail bars and teepees! Anything is possible. Want some extra fun at your party? We work with cocktail bars in London. 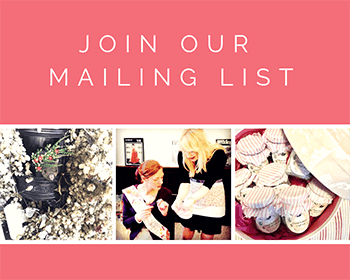 We team up with them to offer you a crafty activity with us and then cocktail making with the cutest guys! 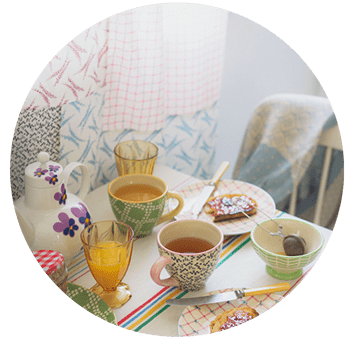 We can also organise afternoon tea or lunch before your crafty workshop. Click the button below to let Janie know what kind of activity you would like. Tell her where you would like it and what sort of thing you would like to do. She will help you plan the perfect party – saving you hours of time! 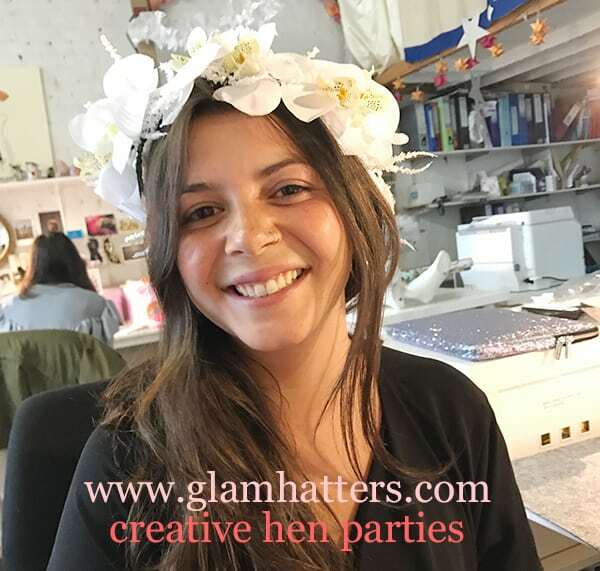 We have been hosting crafty hen party workshops in London for over ten years. We pride ourselves on our level of customer service. All of our teachers are highly skilled in design but also they really, really want you to have a good time! Our workshops are super fun – if you have an idea for a workshop that we don’t yet cover, please let us know. We can tailor a workshop too your needs. 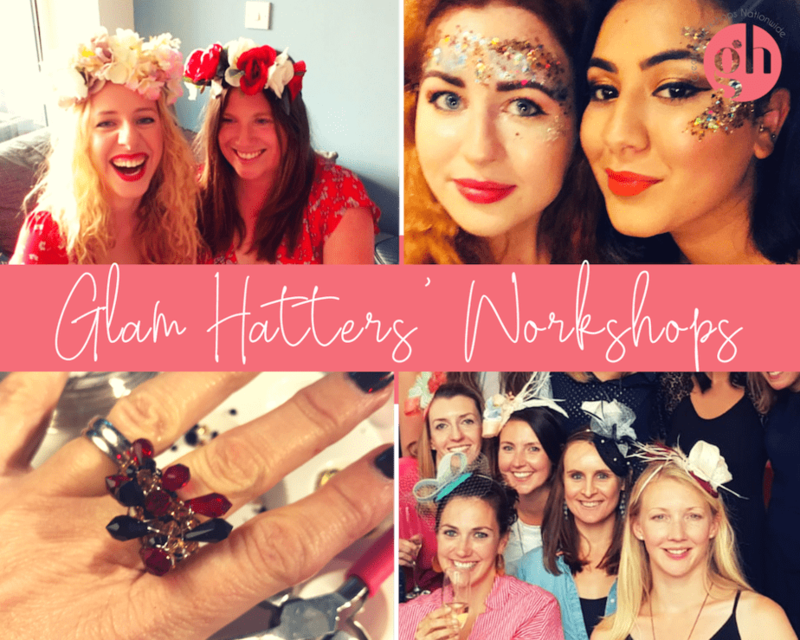 Take a look at our hen party workshops below. For more information and help with planning your hen party contact Janie on the form below. Hen Party Accommodation in Shoreditch, East London. 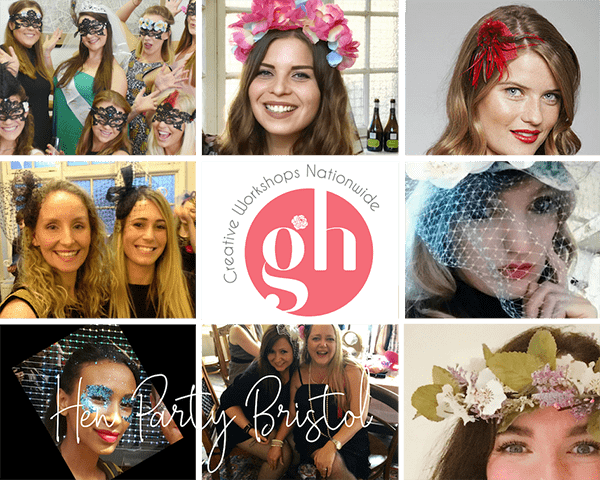 Looking for a crafty hen party in Bristol? 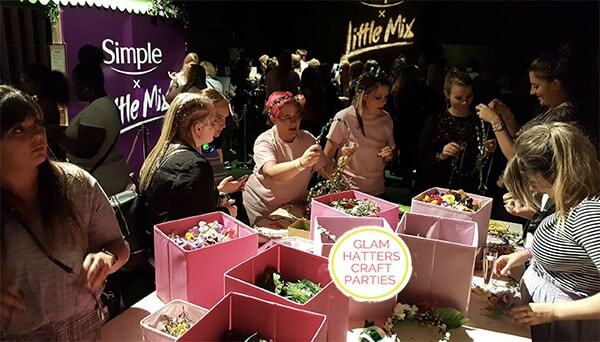 Choose from Fresh Flower Crown Workshops, Fabric Flower Crown Workshops, Fascinator Workshops & Cocktail Ring Making. We also provide Glitter Stations & Flower Stations. 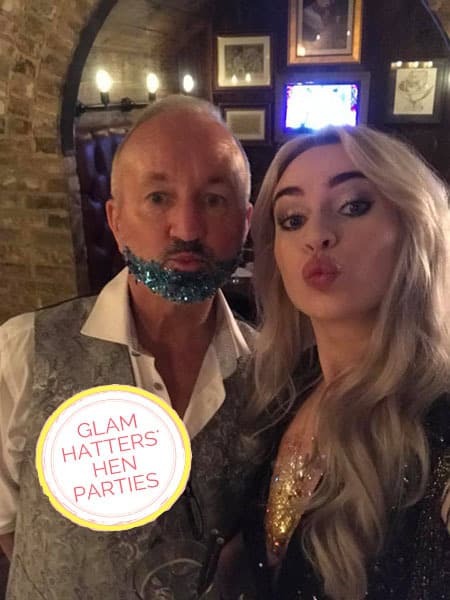 Our Glam Hatter Girls are experts in their field, be it millinery, floristry or making your party sparkle with Glitter & Gems. 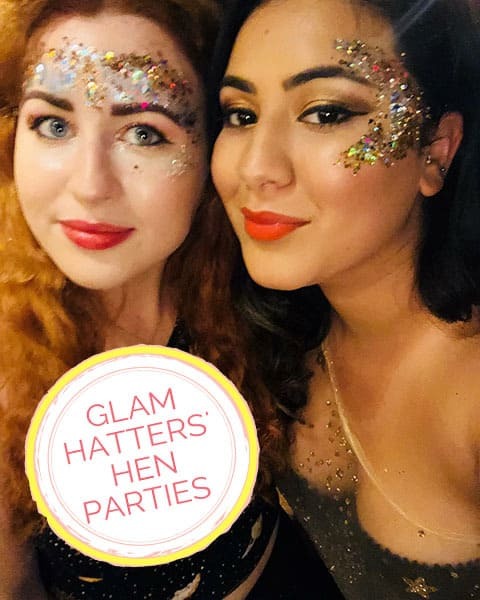 The Glam Hatter Girls have hosted hundreds of parties in Bristol and have teamed up wth some lovely restaurants, tea houses and bars. 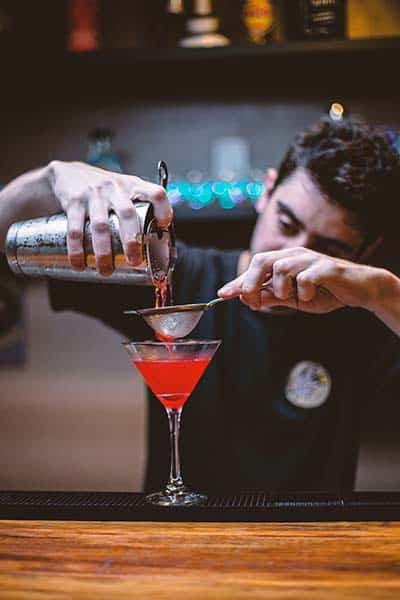 If you would like to have drinks and lunch or afternoon tea or even team one of our crafty workshops with a cocktail making class we can arrange all of that for you! Contact Janie on the form below and she can help you with all your questions and book in your crafty party too. 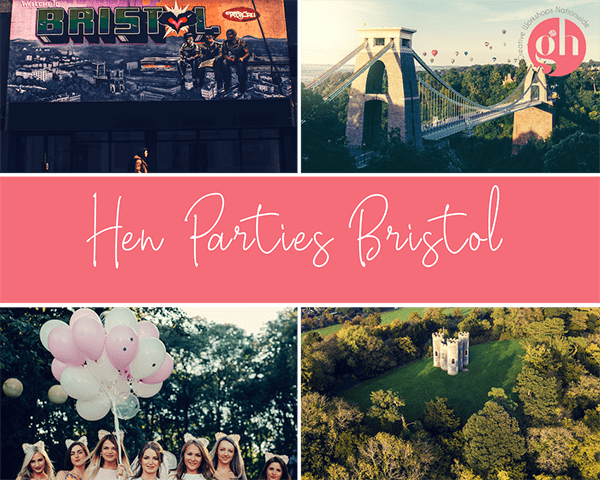 Bristol is such a fun place to host a hen party. It has great transport links around town it is easy to meet up with your girl tribe. Choose from lots of lovely spa hotels which are perfect for hen party accommodation. Tons of restaurants, great shopping and lots and lots of places to dance. We also host hen parties all over the U.K. Contact Janie on the form below with your hen party information and she will help you organise your crafty hen party. She can even organise the afternoon tea and cocktail class too! 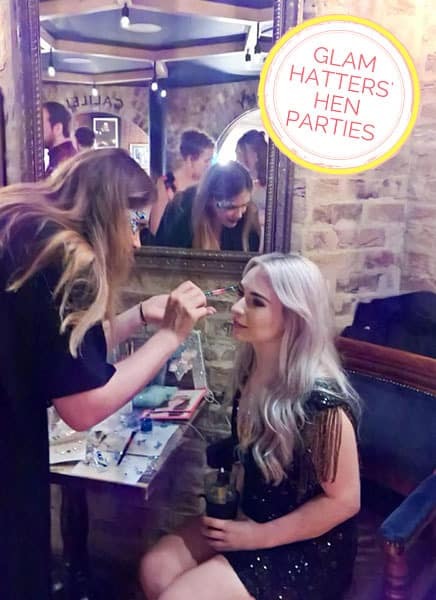 For lots of fun hen party activities in Bristol, based on our previous customer experiences, take a look at our blog below. 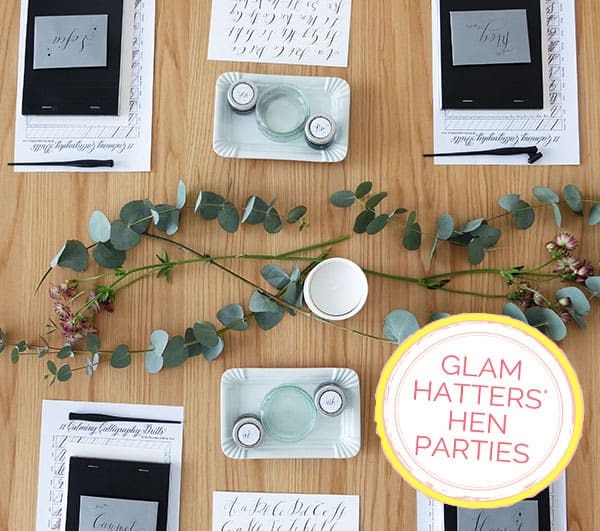 Glam Hatters are initially offering our modern calligraphy workshops at our venue in Central London and at your choice of venue anywhere in London. We will be rolling them out Nationwide very soon! Book a two hour long modern calligraphy workshop for your hen party with us and you will learn the basic techniques from the fine stroke at the beginning of the A to the flourish on the end of the Z, and by the end of our stylish hen party workshop you will be writing your name in your own take on modern calligraphy. We will even give you your own modern calligraphy starter kit, so you can practise your new artistry at home. By the end of this calligraphy workshop you’ll be able to create your own greetings cards, invitations and place cards. And what’s more all your friends will be able to help you out! You’ll save a fortune on wedding stationary! If you’ve ever longed to write in the most beautiful of all fonts (I know I have!) 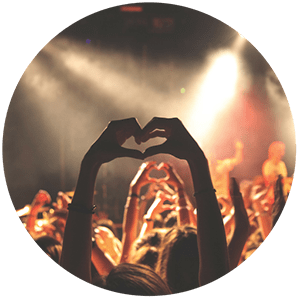 then look no further – this is the hen party workshop for you! 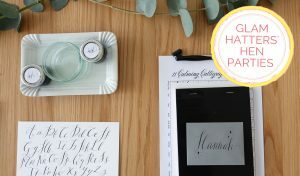 The modern calligraphy workshop is a fresh take on traditional calligraphy lettering, and allows you to incorporate your own style, making it completely unique. 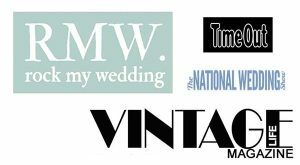 This workshop is invaluable if you’re planning your own wedding! For more photos of hen parties we have hosted check out our Facebook page. We love organising hen party activities for your stylish hen parties. With lots of fun hen do activities to choose from you are sure to find the perfect hen party. Get in touch today and we will make sure you and your friends have a lovely time with us!